Looking for the best steak in Madison? Look no further than Rare Steakhouse. The restaurant is located on the Square and specializes in fine dining. When you enter Rare Steakhouse the first thing you’ll notice will be the beautiful interior. 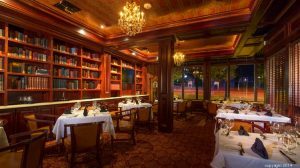 The dark mahogany, gorgeous chandeliers, and comfortable leather booths add to the feeling of class. In addition, the restaurant provides wonderful views of the Capitol. Next, a top-notch staff, will welcome you and provide phenomenal service. The friendly waiters are knowledgeable when picking the perfect wine to drink with your meal. This is helpful because Rare Steakhouse boasts the largest wine selection in Madison. While a beautiful restaurant and amazing staff are important, food is what sets Rare a part. The kitchen only uses prime cuts from Black Angus steer and tenderizes the meat for two-to-three weeks. The quality of the ingredients and chef are reflected in the food. After dinner, the scenic views of the Capitol will likely entice guests into taking an evening stroll. Or, for those over the age of twenty-one, Rare’s bar can provide an array of tasty drinks. Rare Steakhouse will provide one of the best dining experiences you can find in Madison. However, there is one downside to eating at this restaurant…the price. Expect to spend over $100+ dollars. 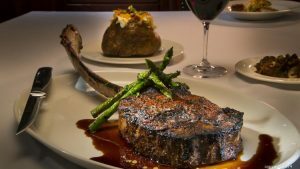 The prices at Rare Steakhouse make it a dinner reserved for special occasion. While the price is high, the food is worth it. I would rate the experience a 5/5.